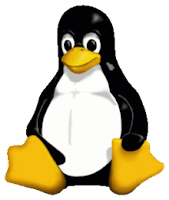 Desktop Linux market share had a growth of about 50% last year according to the recent data by NetMarketShare. Net Market Share service analyzes OS market share by taking into consideration more than 160 million unique visits coming from different web browsers to over 40,000 websites all over the world. If we look at the data for year 2010, there was no growth at all. However, in 2011, starting from 0.96% market share in February, desktop Linux market share ended at 1.41%. The increase in market share is definitely encouraging and looks like many Windows users migrated to Linux as Windows share reduced to 92.23% in December 2011 from 93.61% in February 2011. Mac market share increased to 6.36% from 5.42%. More information can be found on NetMarketShare website.